Looking for a simple way to clean your shower? Does your shower simply stink? Cleaning your shower has never been easier or quicker with this cleaning trick. The best part is that you don’t need expensive cleaners to get the job done. Baking soda and vinegar are the key to getting rid of that stink – who knew? 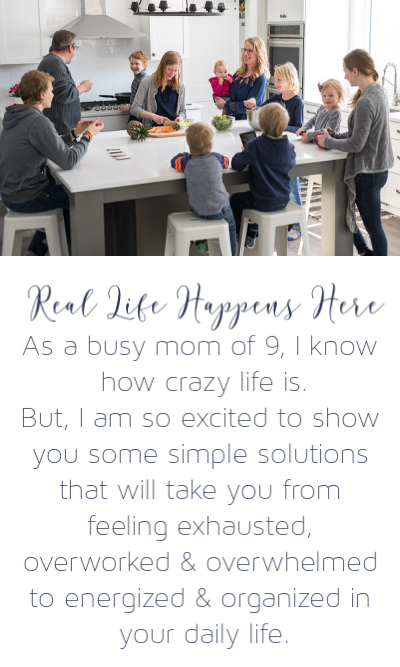 As a busy mom of nine, I can say that I am all too familiar with this smell. With such a busy family, my shower gets used at least three times a day, every day. This means that I have had to figure out how to get rid of this particular type of stink. I have truly learned how to clean my shower like a boss in no time at all. Looking for more cleaning hacks and tricks? Be sure to join our free clean home challenge. In just 7 days, you’ll have cleaned 7 of the things we so often forget to clean. 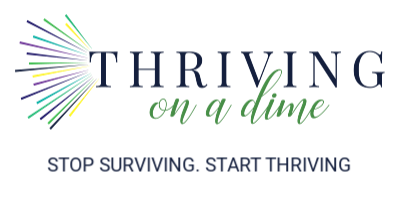 Enter your email below to get started! Join in the challenge & snag some other pretty cool stuff too! I’ve got teens, I’ve got toddlers, and I’ve got everything in between, and each person brings their own unique sort of mess to the shower. I have tried numerous ways to tackle ways to clean my shower over time, and I have finally figured out a method that works like a charm. Here’s the cleaning trick you need to clean your shower the easy way – even the stink! Is it mildew? 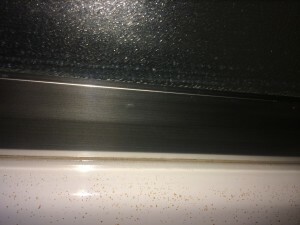 Might it be mold? Is it dirt? 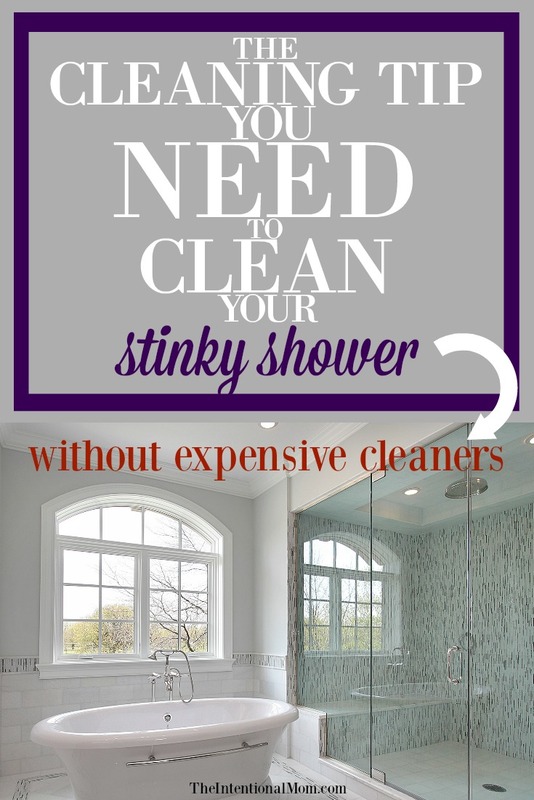 Or maybe it’s something totally different or a combination of all kinds of stinky messes, but whatever it is, you probably know of the shower stink that I am speaking of – especially when dealing with a busy shower. First, you will need your cleaning supplies. Here are the products you will need for this method, and each one serves a different purpose, I have come to discover. Each are links that will take you right to the products. In addition, you will need baking soda, vinegar, a toothbrush, and a cleaning rag/washcloth. I have also found the Bar Keepers Friend products (shown above) to the the best thing to remove ALL soap scum! Once you’ve got the right tools, you’re ready to dive in and start cleaning! First, turn the shower on just for maybe 10 seconds or so just to get a bit of liquid in there. Because I have found the drain to be a big part of that shower funk, you will want to start there. Shake some baking soda over the drain, then pour some vinegar over it. Then it will work its magic. 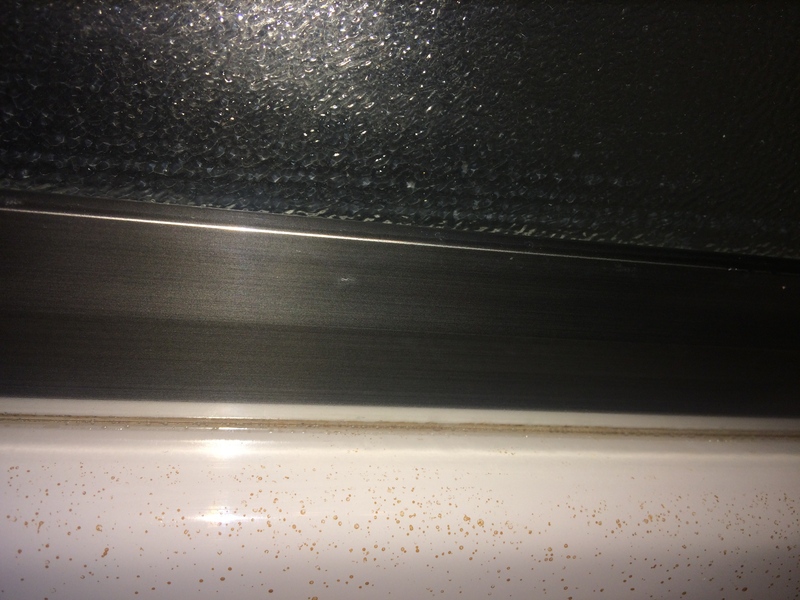 Just as when using these products to clean your window tracks, it will bubble up, and this is a good thing. Let it sit and move on. Next, use the same baking soda and vinegar trick to cover all the gunk, slime, mildew, or whatever other yuck might be in the shower door track. Also use this method to clean in any of the corners or other areas where you see any kind of build up of gunk. Leave this solution to sit and work its magic on all these places, too. By the time you finish scrubbing the walls, doors, and floor, you will be ready to start working on the gunky areas that have been sitting. 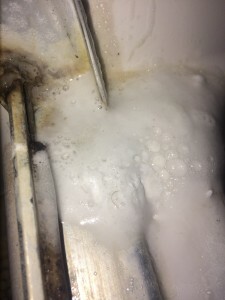 These areas shouldn’t be that difficult to get clean since they have been sitting and bubbling away. But, let me tell you of the areas that you will want to address since I find any and all of them to be a contributing factor in that stinky shower smell. Use the pad and the toothbrush. The really nice thing about the pad is that it can be folded to fill in the track completely, making the cleaning easy. Also use the toothbrush here as needed. Use the pad, use the toothbrush, or use both. Generally, the pad will work well here all on its own. Use the toothbrush to reach where you can down inside. 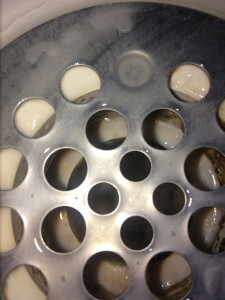 The baking soda and vinegar solution works like magic on the drain. The funk in my drain made the drain look rather black inside, the baking soda/vinegar solution alone made it sparkly white, and I did next to nothing! When dealing with all of these above areas, I will use either of the Bar Keepers Friend products, and I will also make a paste of baking soda and vinegar on the shower floor that I dip the cleaning pad or the toothbrush into. 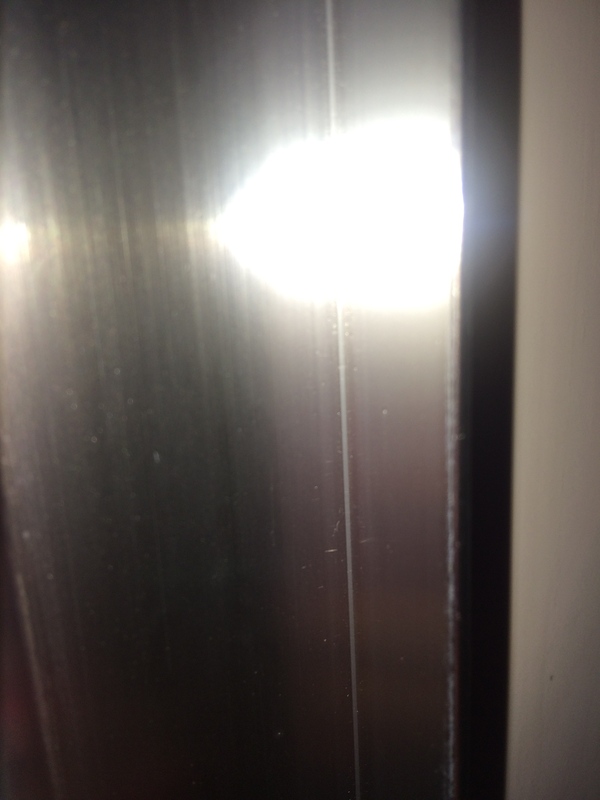 Mold and mildew is often found along the underside of the shower door. Use the rag or washcloth to run along the underside of the door. You will most likely find that your rag has pink or black on it from this mold/mildew that you never even knew was there! That groove is a major collector of dust, dirt, grime, hair, mold, mildew, and I can only imagine what else. This is one of those areas that is often overlooked while your shower still smells a bit funky. What you have now is a shower that is completely covered with some sort of cleaner/paste that has been sitting. Now it’s time to rinse. I find this method to be so effective that it takes nothing more than just running water over all of the shower surfaces. If the shower water doesn’t reach some areas, just wipe them down with water and a rag. In all honesty, I usually just do this rinsing part at the beginning of my shower. It’s just easier for me. With the inside of the shower completely rinsed, you are ready to wipe off any cleaner from the outside of the shower using a rag. 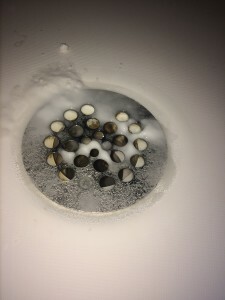 Your shower should be clean and sparkling both inside and out in all areas including the drain, which will rid your shower of that stinky funk. 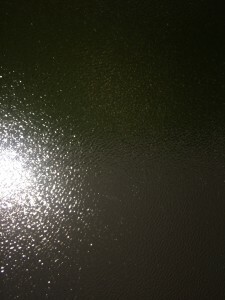 Your shower walls and doors will be free of soap scum, and your shower will sparkle like NEW! 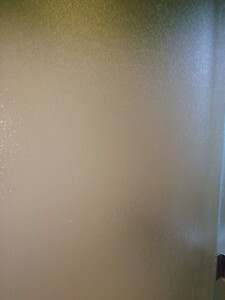 (the painters spattered paint all over our shower :/ that’s what remains in the first picture. Although there are many steps, this whole process takes me no more than 30 minutes to complete. I clean my shower every week using these scrubbing bubbles, which do an amazing job. You can read more about my regular shower and bathroom cleaning method in this post. However, when I start noticing that stinky shower funk, I know it is time to gather my arsenal and put these steps into motion. Can My Kids’ Bathroom Really Be Clean? « Teach Your Kid to Ride a Bike Without Training Wheels in 30 Minutes or LESS! What do you wear on your feet while working on the shower walls? I do the floor last, aside from the track and the drain, so I don’t wear anything on my feet since there is only water, however, there have been times that I have forgotten to save the floor until last. In that case, I have just grabbed a pair of flip fops. You could also use plastic shopping bags if you were concerned about stepping in anything. Is there an easy/good way to clean shower curtains? 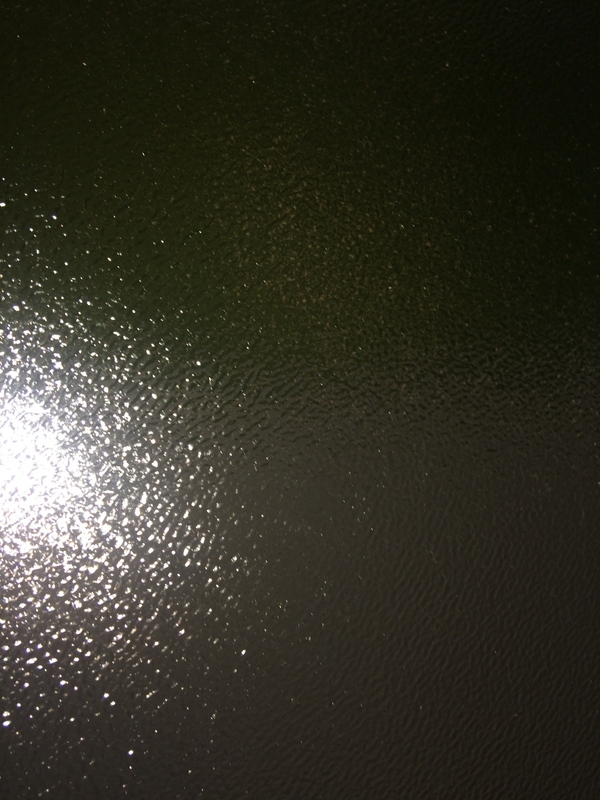 We have very hard water and there are lots of spots on the curtain. Thank you! I put my shower curtain in the washing machine when I was towels. Laundry detergent with a bit of bleach too, does a pretty good job! Hi! What a great tip! Thank you so much for sharing! Wish I had found this a few years ago. 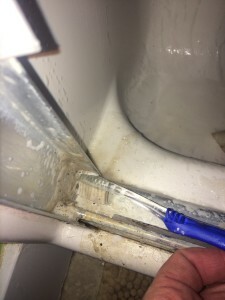 lol Having gone from shower curtains to stall with glass door- I thought I was doing right by keeping the tile and grout clean and the floor and the caulking, squeegee squeegee! lol . Totally clueless about the rubbery gasket-y flap on the underneath of door. I thought I was going crazy, I had a clean shower, but kept getting a trail of muck. OMG!!!! Until I experienced the most disgusting discovery ever. ( it was bad, but it was a new shower so it’s not like 10 years of other people’s mildew) lol I laugh now. Anyhow, Just found your website, wish it’d been sooner. It’s quite the stockpile of realistic cleaning and tips. Thank you so much! You used the barkeepers friend on the glass shower door? It doesn’t scratch it? Does it take all the water spots off? Thank you! Yes I do. No, it doesn’t scratch mine at all. My door does have a bit of texture to it. So if yours is totally smooth like a mirror I can’t say for sure. But yes, it takes the water spots off! You can use a wet dryer sheet to remove water spots from your glass doors. They also work like a miracle to get bugs off the front of your car. Wow! What a great tip! Thanks for sharing! Amazing!!! I have my mother in law coming this weekend. So Guess what I will be doing for the next few days. 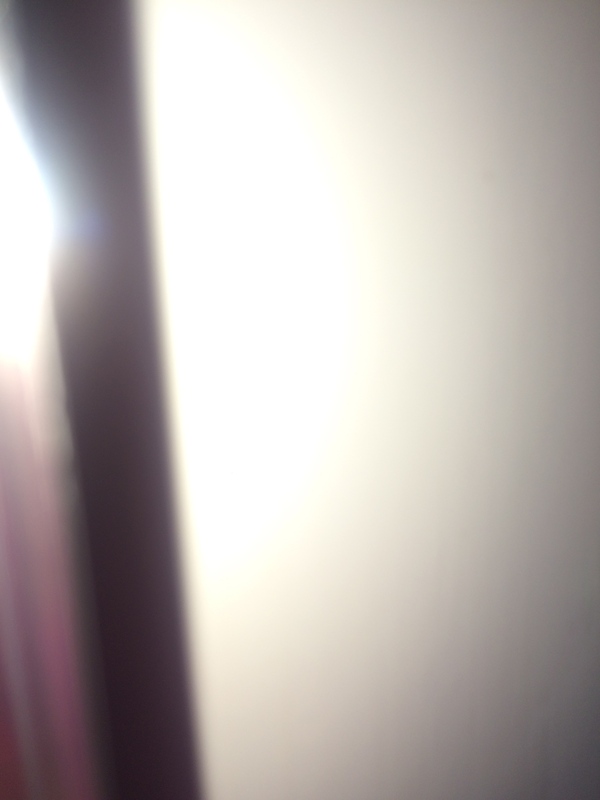 LOL And this is one of them thanks for the Great tip!! Would love to be able to print these great tips for cleaning. Can you tell me how to do that? This one doesn’t have an actual downloadable printable, but you can always do a copy and paste into some sort of document and then print!